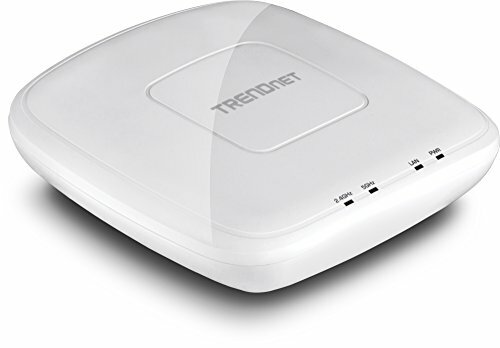 TRENDnet's high performance AC1200 Dual Band Wireless PoE Access Point, model TEW-821DAP, supports Access Point (AP), Client, Wireless Distribution System (WDS) AP, WDS Bridge, WDS Station, and Repeater modes. It generates concurrent 867 Mbps Wi-Fi AC and 300 Mbps Wi-Fi N networks. The included Windows-based software controller manages multiple TEW-821DAPs and reduces Wi-Fi management and troubleshooting time. It features advanced access control, QoS, traffic management, band steering, and captive portal support. The low profile blends into most environments and a mounting plate eases installation.